Grocery shopping doesn't have to leave you broke. 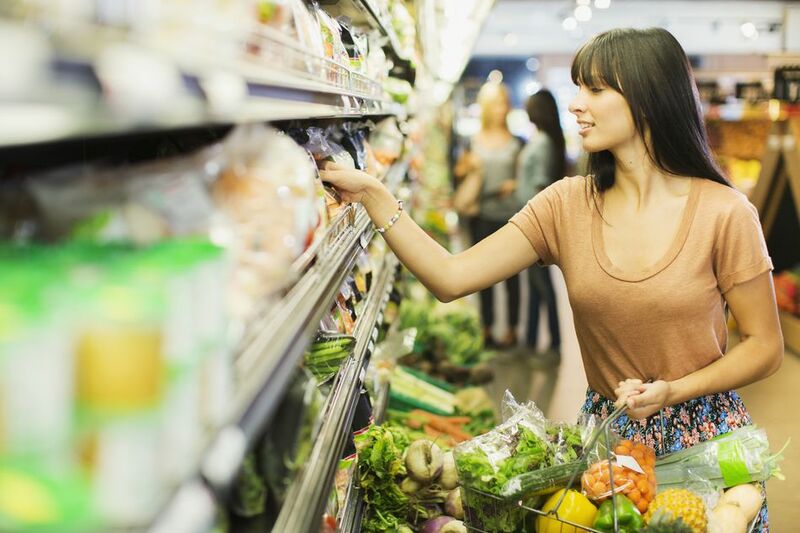 Learn how to save money on food, so you can walk out of the grocery store with cash to spare. Foods are at their best price-wise and taste-wise when they're bought in season. Familiarize yourself with the growing seasons for your area. Then, load up on those fresh-from-the-farm deals. Remember: Most fruits and vegetables freeze well, so buy extra to stick in the freezer for later. Planning to fork over $6 for lunch tomorrow? Buy a lunch box instead, and make packing lunch your new habit. Dial down the cost of your junk food habit by making your favorite sweet or salty treats at home. Since it requires more effort from you, you'll probably consume less too. Bonus! Dried beans are cheaper than canned. A head of lettuce is cheaper than bagged. Frozen fruit is (generally) cheaper than fresh. Learn to buy foods in their cheapest form, and the only thing that will suffer is your grocer's profits.